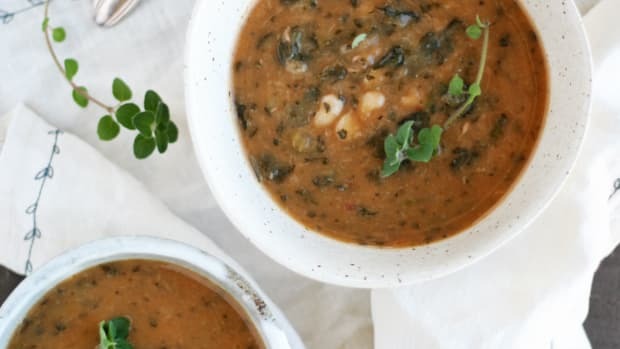 Although there’s nothing wrong with the pot of chili your mom used to make, it’s time to upgrade your chili recipe to something a little more wholesome. 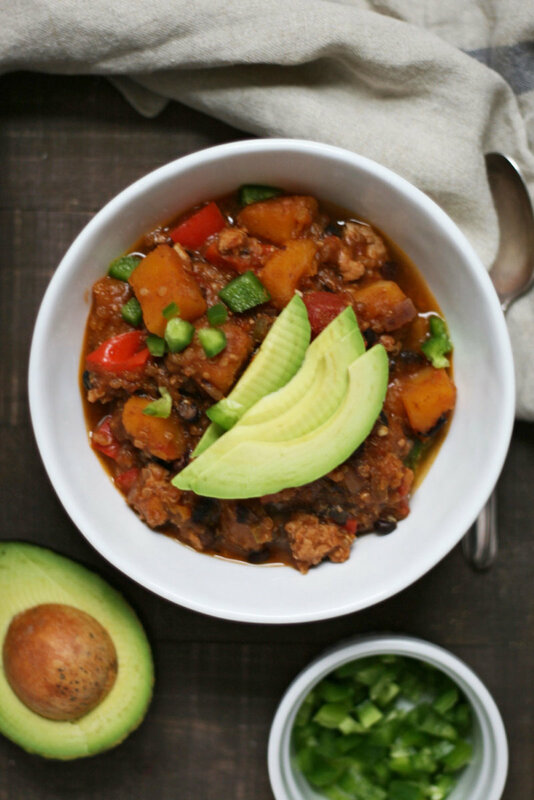 Instead adding loads of processed meats, bacon bits, salty chips, and processed cheese, this turkey chili recipe uses nourishing ingredients including organic ground turkey and seasonal butternut squash. 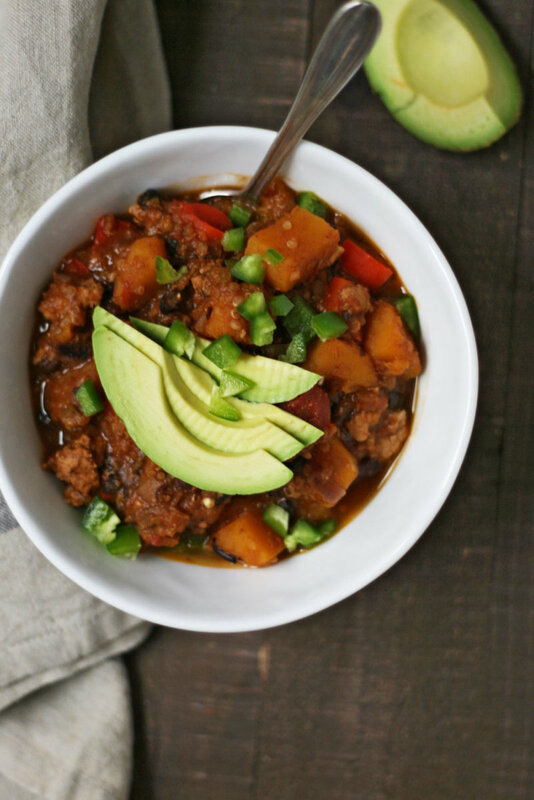 And since there is perhaps no better feeling than tucking into a warm bowl of goodness while the weather turns gloomy, cold, and rainy outside, this butternut squash and turkey chili recipe is going to be your new favorite meal to make on special autumn days--whether you&apos;re watching a football game, cozying up to a movie, or having a big day at the pumpkin patch or apple orchard. Although often thought of as the centerpiece for Thanksgiving, turkey is a delicious and healthy meat that can be enjoyed in a variety of recipes year round. In fact, quality organic and pasture-raised turkey is a suitable swap for the traditional ground beef or pork in many recipes, such as spaghetti Bolognese, burgers, tacos, and, of course, chili. When purchasing ground turkey, always chose the organic option. If possible, look for turkey that has been pasture-raised as well. Other common phrases found on turkey products include cage-free, pastured, and free-range, yet may still mean that the turkey spends little to no time outdoors consuming natural food. To find the best bird, consider local farms or talk to your grocer to find out how the turkey was raised. More important, the better quality of life the turkey (or any animal you&apos;re going to eat) had, the better quality and more nutritious its meat is going to be. Increasing research shows that pasture-raised meat, eggs, and dairy products are far better for consumers&apos; health than their conventionally-raised, grain-fed counterparts. 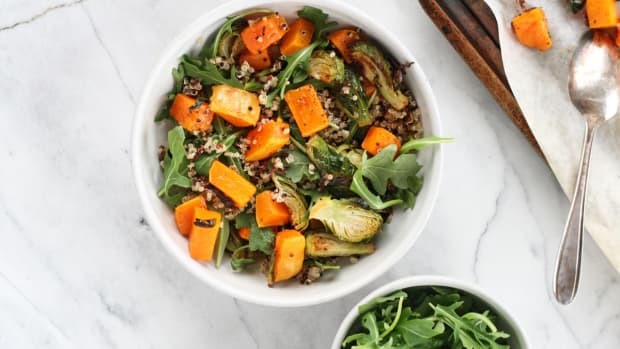 These meats are not only lower in calories and total fat, but pasture-raised foods have higher levels of vitamins, and a healthier balance of omega-3 and omega-6 fats than conventional meat and dairy products. Nutritionally speaking, turkey is so much more than the post-Thanksgiving-feast food coma inducer (which is thanks to tryptophan, an amino acid, FYI). Turkey is low in calories and high in protein and packs in a variety of micronutrients as well. Turkey is also rich in B vitamins, including niacin, which helps to promote healthy blood circulation, metabolism, and aids in the maintenance of cholesterol levels. Turkey also contains vitamin B6, which supports nerve function, and selenium, which is necessary for proper nerve function. This turkey chili recipe also contains another nutritious superstar, and an unlikely chili ingredient. 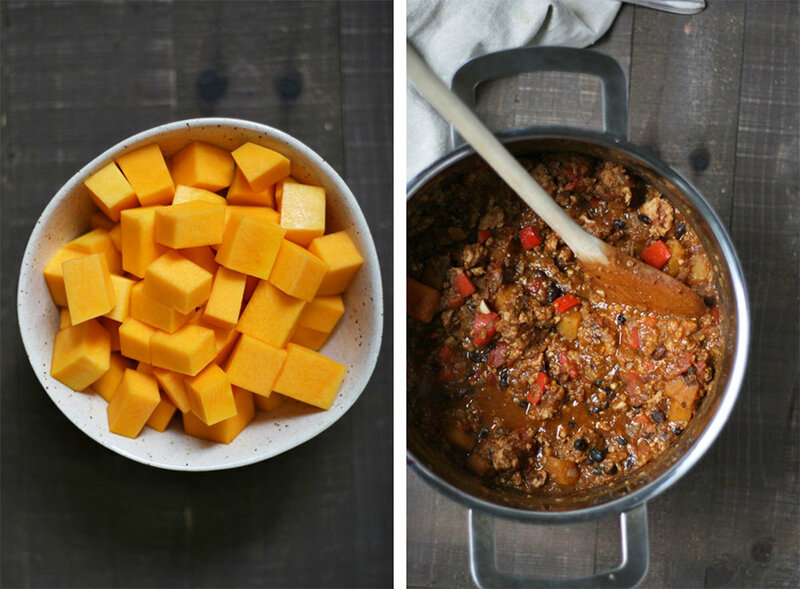 Adding butternut squash to chili is a total flavor and nutrient game changer. The squash not only provides a sweet and creamy flavor, but it amps up the vitamin and mineral content as well. 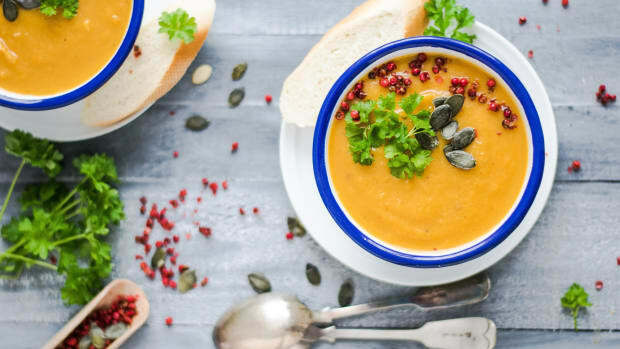 Butternut squash is a fiber-filled vegetable that promotes healthy digestion, and keeps eyesight sharp, thanks to ample amounts of vitamin A, and boosts immune function due to its high vitamin C content (although much of vitamin C is lost in the cooking process). 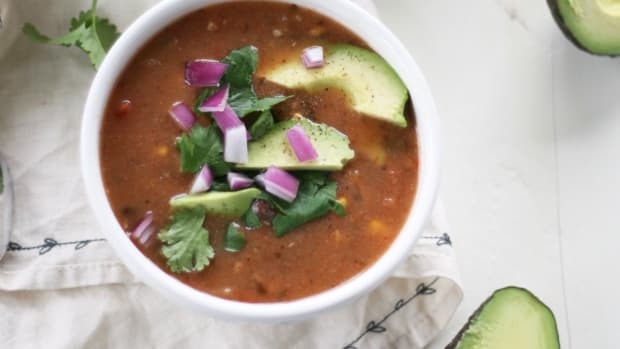 Other superstar turkey chili recipe ingredients include quinoa to create the perfect texture plus more protein and omega-3 fatty acids, spicy jalapeno to give your metabolism a kick, and a variety of warming and flavorful spices, such as cinnamon and cayenne. 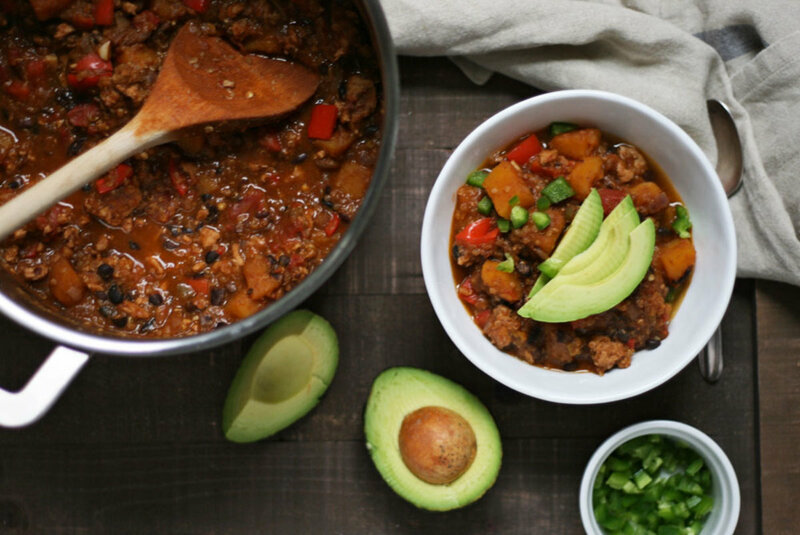 This butternut squash and turkey chili recipe is an autumn staple that offers some serious nutrition and coziness. 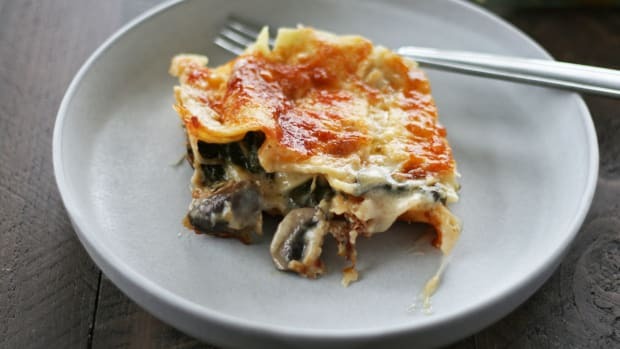 The fact that it takes less than an hour to cook and serves a crowd just makes the recipe even better. Heat avocado oil in a large dutch oven or pot on medium-low heat. Add in diced onions and garlic and briefly sauté for three to four minutes. Add in ground turkey and cook for five to ten minutes more, or until turkey begins to turn white. Add cubed squash, bell pepper, and jalapeno to the pot and cook for ten more minutes, stirring every so often. Add in the remainder of the chili ingredients to the pot and give everything a good stir. Bring chili mixture to a boil and then reduce to a simmer. Cover and cook for 20-30 minutes, stirring every now and then. Chili is done when quinoa has plumped up and squash can be easily pierced with a fork. 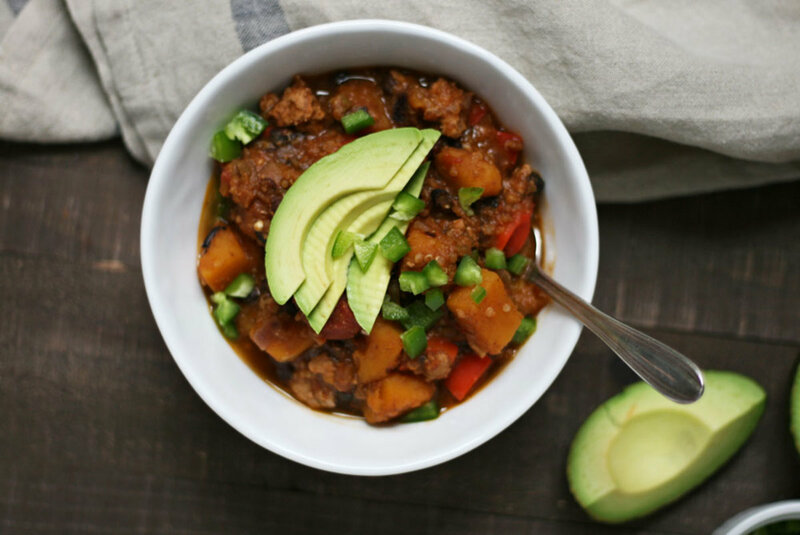 Divide chili into bowls and garnish with diced avocado and jalapeno, if desired. Enjoy! 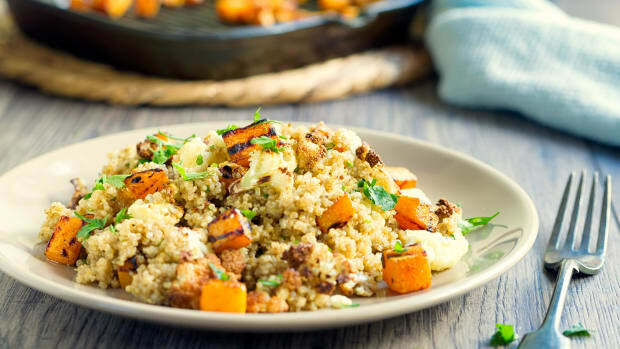 This delicious quinoa salad recipe combines the sweet and nutritious qualities of butternut squash, cabbage, and apples into a colorful, vitamin-rich wintertime dish. 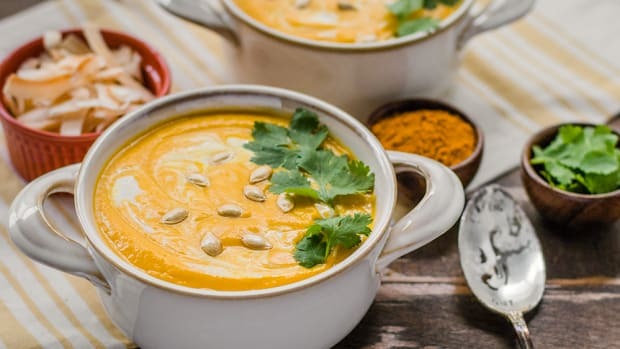 With spicy flavors and a creamy texture, this curried butternut squash soup will be your go-to comfort food. Plus, find out the secret ingredient you need. 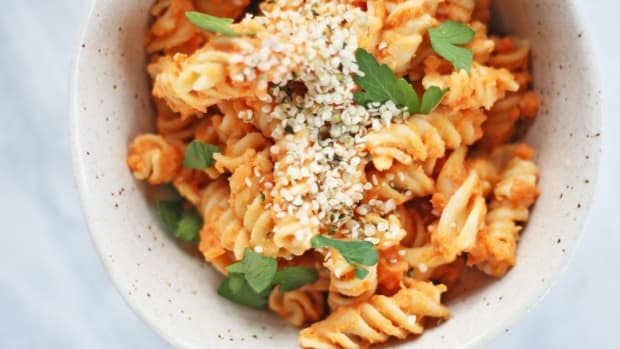 Make a delicious dinner tonight with butternut squash, cashews, nutritional yeast, AKA nooch. This butternut squash mac and cheese is simply delicious.